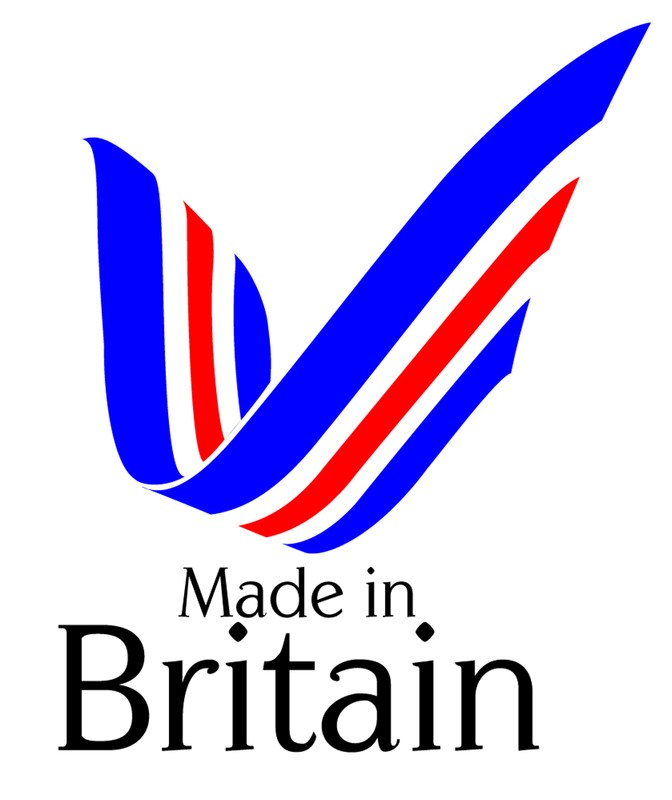 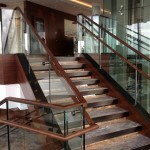 We were first introduced to this exceptionally exciting project back in October 2011. 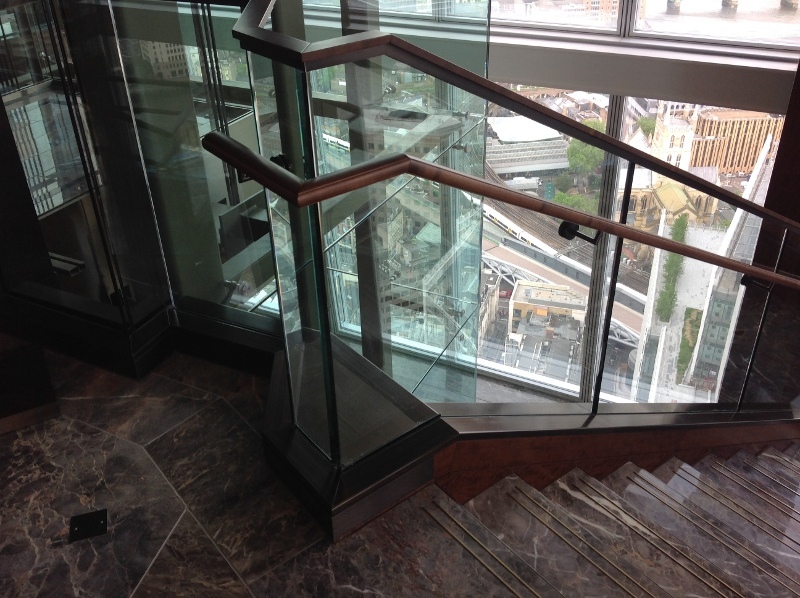 The Shard, also referred to as the Shard of Glass, Shard London Bridge and formerly London Bridge Tower, is a 72-storey skyscraper in London. 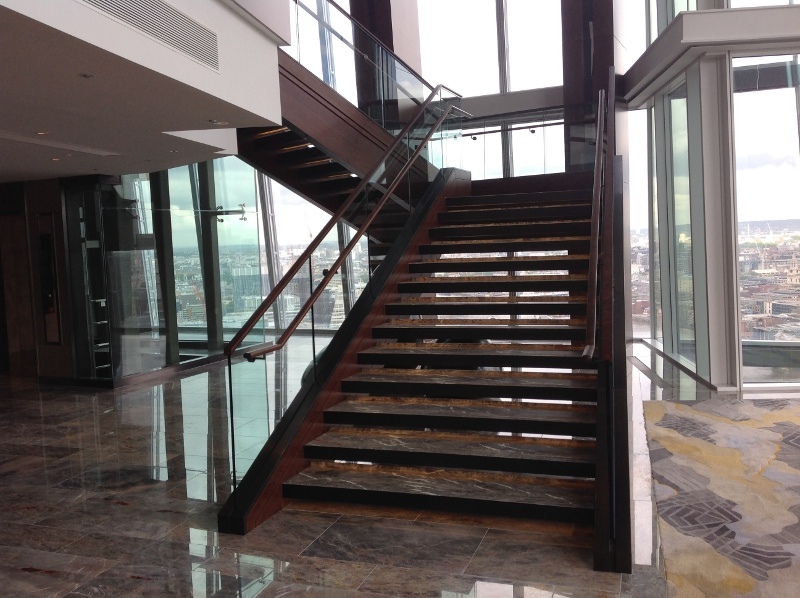 Standing 309.6 metres (1,016 ft) high, the Shard is the tallest building in the European Union. 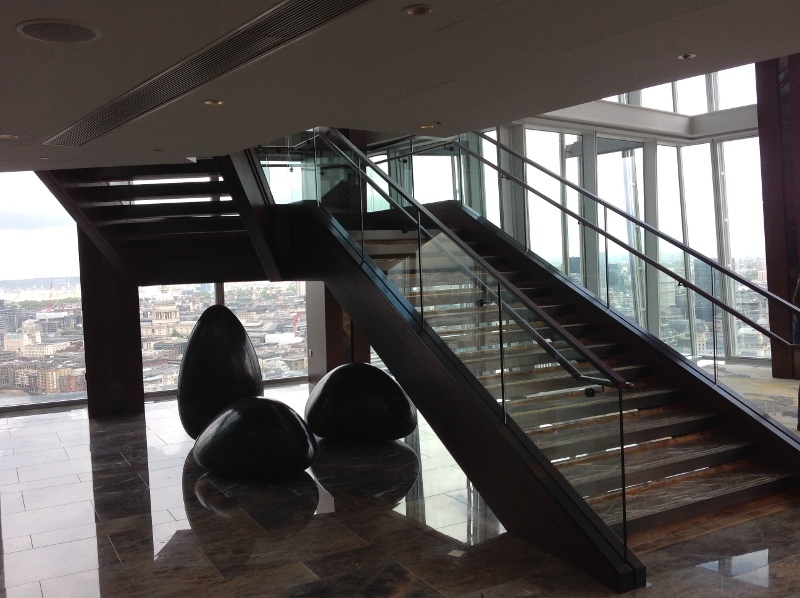 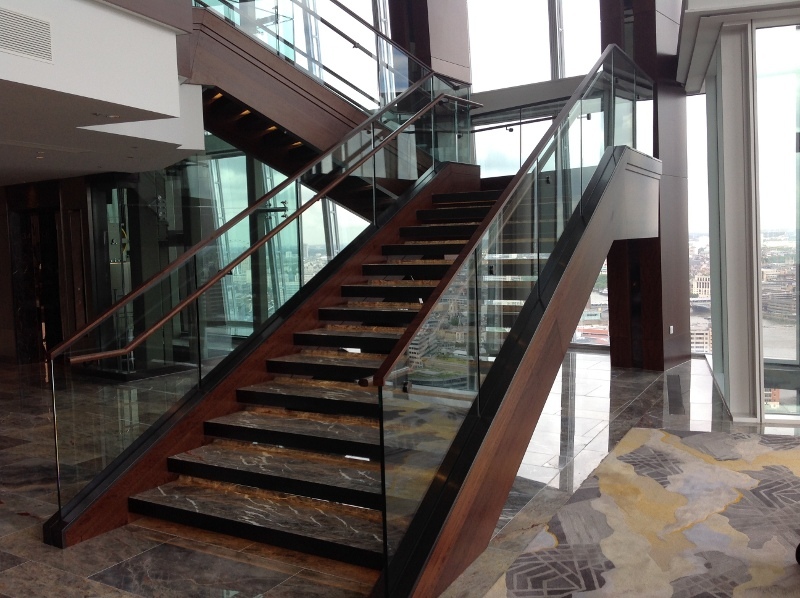 The Shangri-La Hotel at The Shard opened its doors to guests on 6th May 2014. 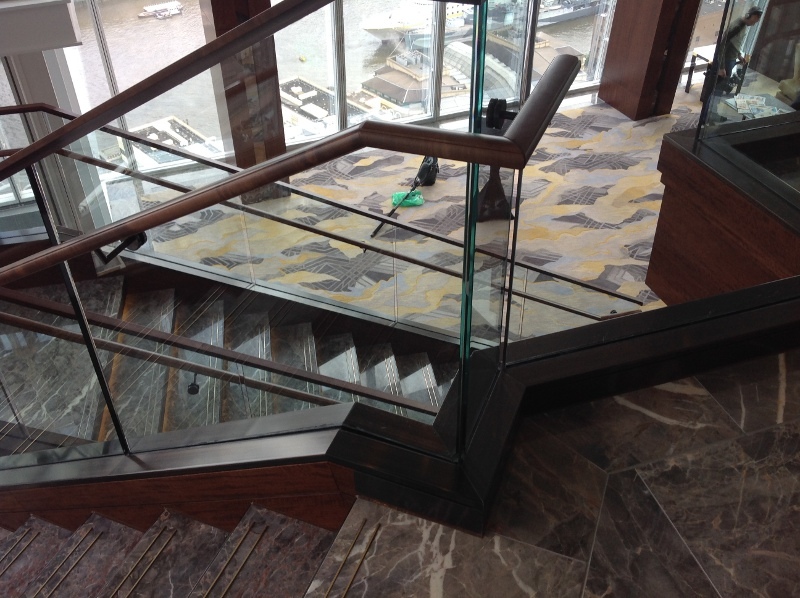 Whilst on site we were also brought in to work on other levels to carry out the fabrication and installation of metalwork items. 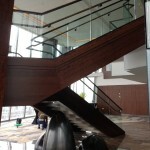 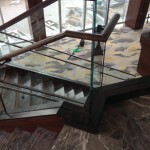 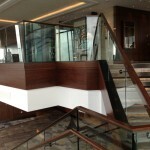 This work was carried out to Zuma Restaurant and Bar and also Aqua Restaurant and Bar. 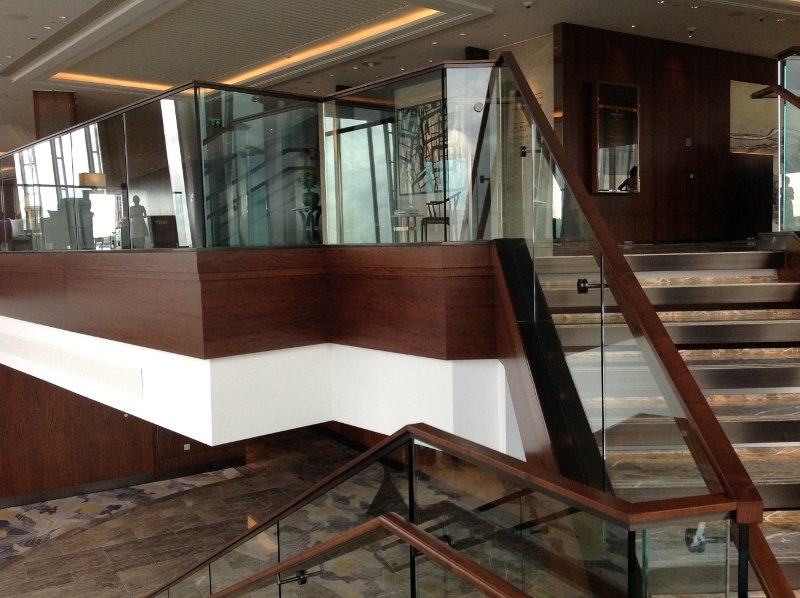 On 2nd September 2013, Sisk were replaced by Chorus as the main contractor on the Shangri-La Hotel fit-out. 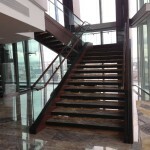 Fortunately, we were selected by the new main contractor to continue with our works to completion. 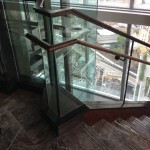 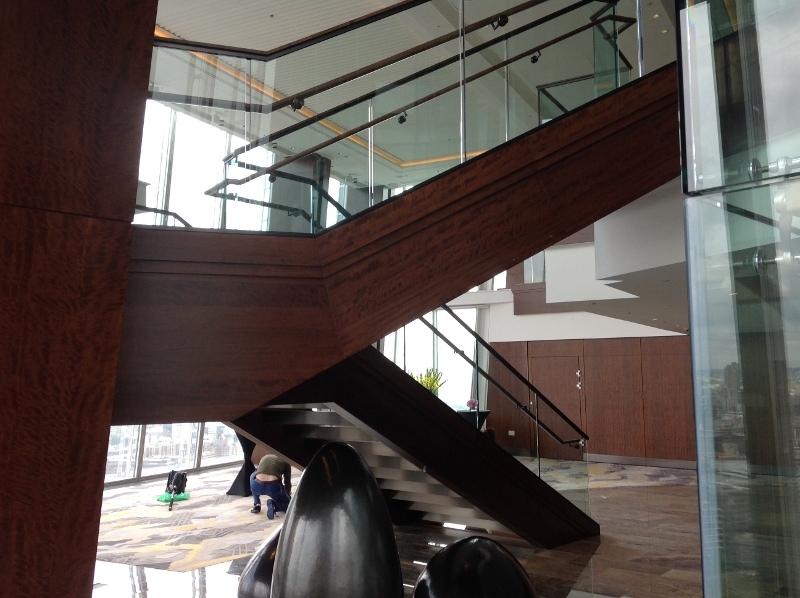 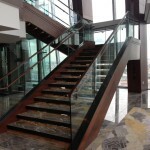 The feature staircase is manufactured from (grade 355) 300x100x12.5mm RHS stringers with 20mm thick base plates and connects back to the existing building. 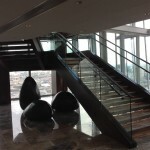 The treads are covered with marble. 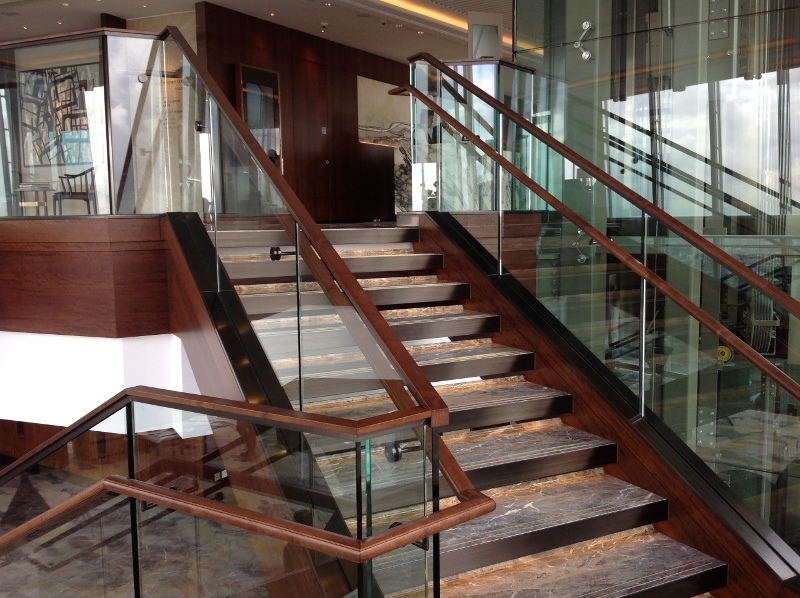 Our aluminium U-channel supports the 19mm toughened frameless glass balustrade and the timber handrail is supported from the glass with our bespoke stainless steel handrail brackets (bronze hairline effect finish). 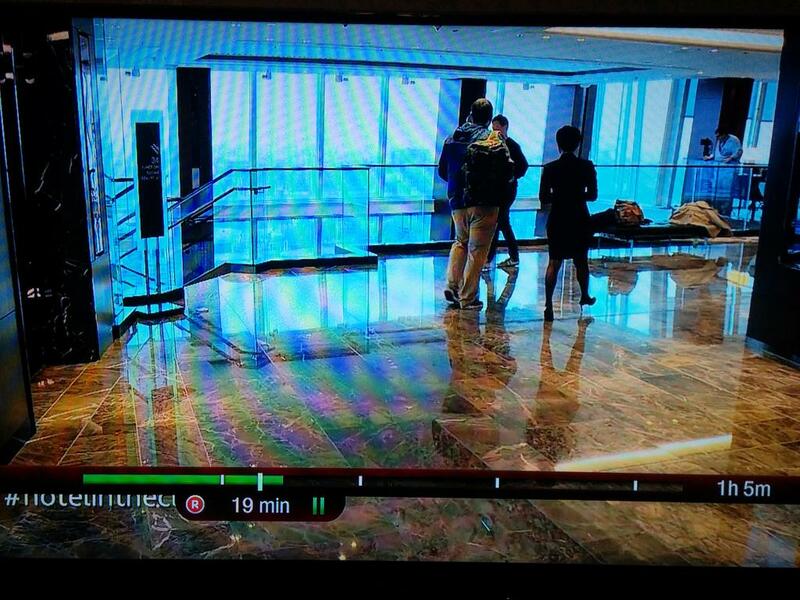 Alex Polizzi, a regular columnist for Telegraph Travel, is given a sneak preview of the new Shangri-La hotel inside London’s tallest building, the Shard.